Over the last week, a few of my friends, including Editor-in-Chief Jonathan Kwan, and I traveled approximately seventeen hundred kilometers by land to the capital of the Northwest Territories. When I was explaining this vacation time off to my friends and coworkers, the first question they always asked was, "Why Yellowknife?" To be fair, it was a valid question. While there are many vacation destinations in Canada, I do not think Yellowknife ranks on the top ten list. It is best known for its optimal location for viewing northern lights, but I would not necessarily make that my primary reason for going. So to answer them, I always replied with a "Why not?” In my opinion, I really wanted to visit because I felt like I had yet to explore all of Canada. Most of my vacations were either to BC or Ontario. Since coming back, I can gladly say I did visit, and I can surely recommend you for going there. When NZXT launched their updated H-series lineup last year, they launched with not only their standard H700i for ATX motherboards, but also their H400i and H200i for micro ATX and mini ITX. Fast forward a year later, and we finally have the H200i in our hands. You may still ask the same question of why, especially when a larger case can hold the same motherboard without many compromises. Hopefully, this review will answer the question of the purpose for the H200i and show if it is a compelling option for your small motherboard. 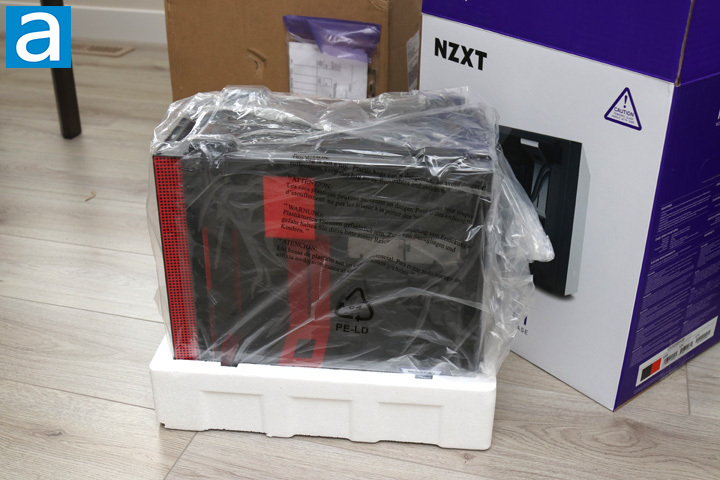 Today's review unit of the NZXT H200i arrived in its own cardboard box, alongside a smaller cardboard parcel. Travelling with FedEx and their International Ground service, this box arrived in average condition. There is a sizable dent on the side along with some bruising in the corner, but these are nothing to be concerned about. From the side label, the more observant of you will see they sent us the red and black version of the H200i, but you will see more on that later. 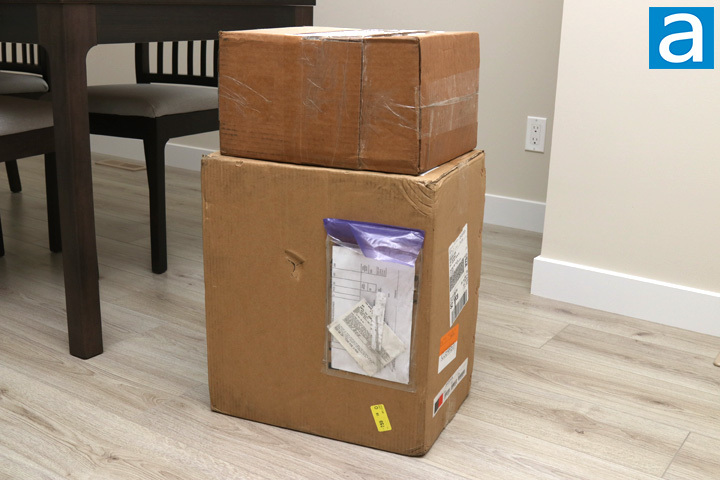 The smaller cardboard parcel contains the NZXT E850 850W power supply, which we will be taking a look at in the coming weeks. Otherwise, I grabbed my scissors and opened up the boxes. 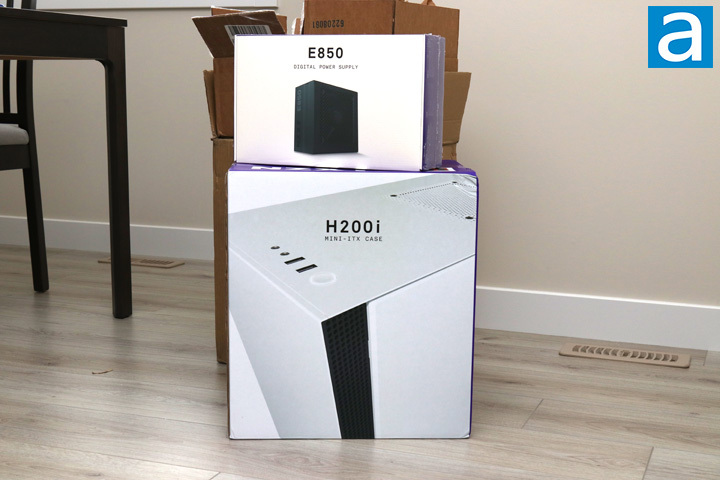 Following the similar box design as the H700i, the NZXT H200i shows off an angular look of the angled case in its matte white and black color scheme. A product name of H200i and a description of "Mini-ITX Case" is displayed on the front side. The border of the box is the typical NZXT purple, which is something we have come to expect with recent NZXT products. Some features and specifications can be found around the box, but they are not displayed in the picture. You can see the bruised corner is visible on the retail container here. Thankfully, NZXT has included enough cushioning inside to protect the product. The NZXT H200i can be found sandwiched between two foam brackets with a plastic bag wrapping the case. This way the case is protected from any major impacts or any surface scratches before the consumer opens it. This is pretty typical for a computer case and everything arrived in excellent condition. An accessories kit can be found inside a box strapped to the motherboard area in the case. This includes the installation manual for any help along the way, as well as any screws to help with installation.